PASTORALE RECORDS is the sole label in Japan which focuses on the arab music. It was established in 1994 as a department of PASTORAL SOUND Co. Ltd., a company of musical production. Until now 5 CDs as followings have been released. If you want to purchase these CDs, please click Order. Le Club Bachraf new album CD "Le Club Bachraf - Concert at Dar Rachidia" now on sale! There is a review on the CD"Le CLub Bachraf" in "Qantara" N.38 (2000-2001 Winter) published by L'Institut du Monde Arabe(Paris). The author, Christian Poche, says it is "full of grace, charm and subtlety". 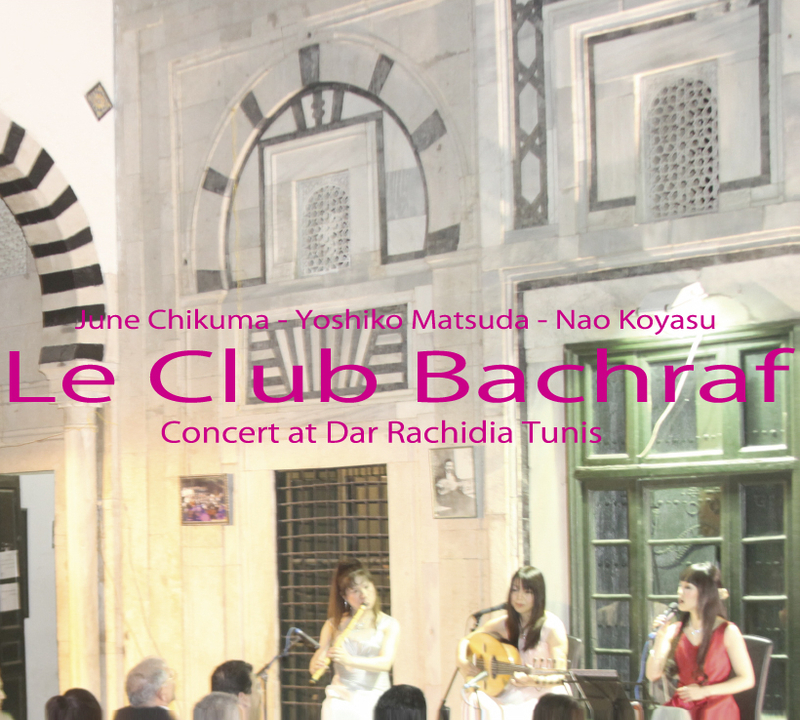 "Le Club Bachraf" is a Japanese ensemble of Arab classical music of which each member studied in Tunis or Cairo. The first album contains: "Kif Dar Kess El Hob" and "Gazali Nafar", both composed by the great Tunisian composer Khemaies Ternane(1894-1964), "Wasla Hassine" (Maluf of Tunisia, traditional arab-andalusian music), "Samaii Bayati" composed by Egyptian Ibrahim El Aryan(1898-1953). Also contains Taqsim(improvisation) of each instrument. Play Back "Bachraf Samaii Asbain"
Play Back "Kif Dar Kess El Hob"
Also available on the ARP of U.S.A.
*Pastorale Records has reached a license agreement with ARP of U.S.A.
Pastorale Records / Pastoral Sound Co. Ltd.